Singular Solid Roller Bearing at that wheel. Will not work on Solid / Live Axles or Tapered Roller Bearings. Saves Time and Money with on the Car Application. 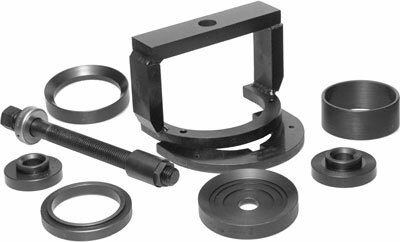 M0070 - Spring Compressor Kit for front and rear coil springs. 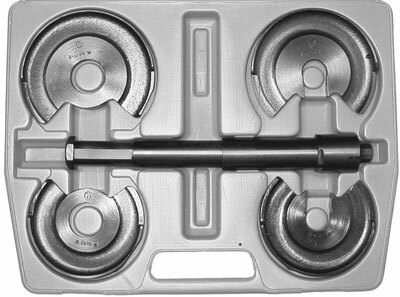 Applicable: Mercedes chassis W107, W116, W123, W124, W126, W129, W140, W201, W202. Big Time-Saver! Will pay for itself many times over! Click Here for the image. Comes with a convenient carrying case. 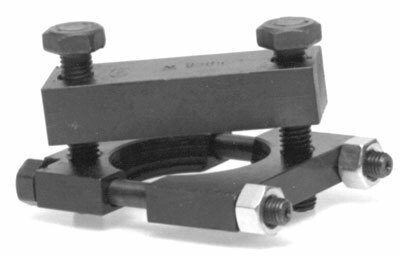 M0063 - Press Tool needed for the proper installation of ball joint into steering knuckle. 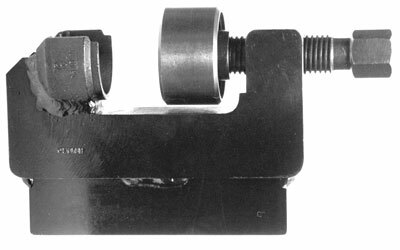 Superior design allows for mounting in a vice w/o marring the tool or bending under pressure. Applicable: Mercedes chassis - W116, W123, W126. Big Time-Saver! Made from High Quality Steel! Incorporated with a heavy duty solid thrust bearing, it’s sure to give years of dependable, trouble-free service! A must for the Professional Mercedes Mechanic! This Tool Available in either size 32 or 36mm. With an 8mm overall thickness and a length of 20 inches for proper leverage. Used in conjunction with tool# M 0086. M0022 Comes complete with 8 and 10mm Allen bits. 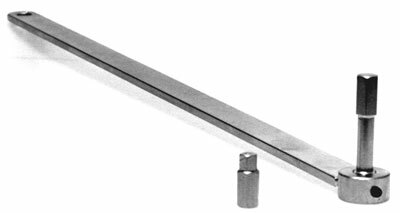 32 X36mm with an 8mm overall thickness and a length of 12 inches for proper leverage. Needed for R&R of fan clutch hub nut. M0040 - Locking Hook needed for securing the visco fan coupling during R&R of 8mm hex fastener w/o removing the radiator. Applicable: Mercedes engine - M103. M0036 - Steering Box Repair Kit needed for proper R&R of locking grooved nut and sector control piston. Applicable: Mercedes steering - LS90. 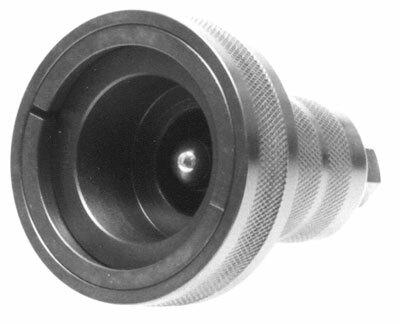 M0005 - Puller (Collet Type), needed for the proper extraction of steering pump pulleys. Applicable: Mercedes steering - LS75, LS85, LS90.